Smokie Norful is founder and senior pastor of Victory Cathedral Worship Center, a congregation on three campuses in Bolingbrook and Chicago, Illinois. A graduate of the University of Arkansas at Pine Bluff and Trinity International University in Deerfield, Illinois, Norful also served on the board of regents for Trinity International University. A multiple Grammy-winning artist who has sold more than three million albums worldwide, he has also received Stellar awards; Dove awards; an NAACP Image Award nomination; a Soul Train Award nomination; two nominations for the BET Award for gospel music; two RIAA-certified Gold-selling compact discs; and countless other awards. He lives with his wife and family in the Chicago area. “Take The Lid Off” written by Gospel Artist, Smokie Norful is definitely a powerful Inspiration Motivation book. Smokie shares his personal story about how he had it all, in the window of the world, although he felt that God directed him to starts his own Church. A number of times there were humor accounts of the journey that Smokie Norful experience through his life. Through his lifetime, I found it very entertaining and there is a lesson that we all can learn from. Smokie Norful created “Take The Lid Off” with a design from the Holy Spirit in a logical way. “Take A Lid Off” is a powerful sermon in a book that can be a prescription we can use as both a journey of personal and spiritually. This is a wonderful tool for your Church Bible Study or a discussion group. I truly believe “Take The Lid Off” is the book that is required for everyone to read at this current time. This book given me the validation that I was right to get out of my comfort zone. I wanted my lid to be taken off so I can unleash my own full potential that God has given to me. Smokie Norful provided his anointed gifts with powerful words to empower the readers with tools to unleash their own full potential. I knew Smokie Norful as a Gospel Singer who inspires us with the Good News in the arts of music. Music is a great tools of format for therapy in our souls. Now with “Take The Lid Off”, Smokie Norful shares his personal testimony in written form at to teaches us the importance of unleashing our God Given powers. 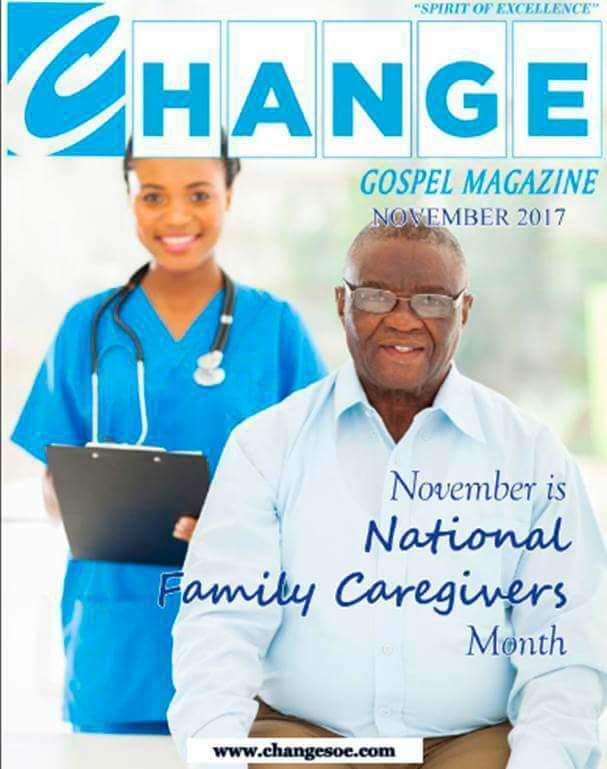 Hey Guys the November Issue of Change Magazine is here. November is National Family Caregivers Month. Read Great articles from a few of our writers such as Milton Kelly, Melinda Melinda Grimmage Lawrence, Diane Cooper, Thais Sherell and many more. 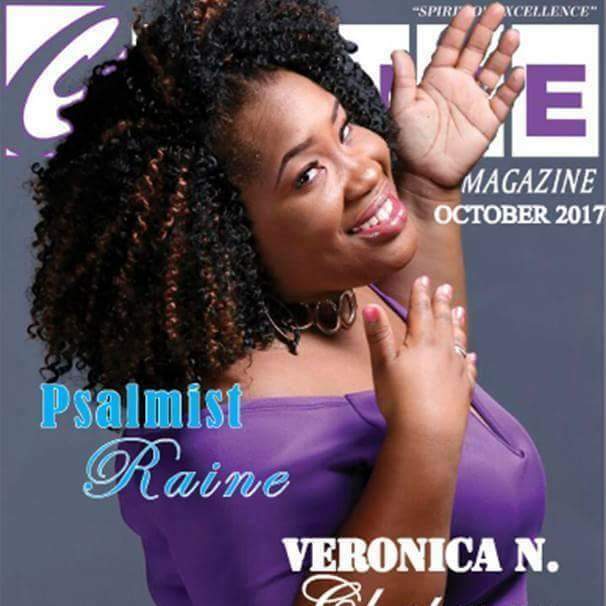 To read the articles go to http://www.changesoe.com 1.when you get to the website, scroll down a bit until you see this Months issue of the Magazine. 2. Click on the Magazine and it will then open. 3. After it opens, go to the LOWER RIGHT CORNER of the page and click, the pages will turn. If you are using your phone or tablet, then click on the PDF and scroll up or down the view the Magazine Thank you. We Love you guys. Also please like The Change Gospel Magazine Facebook Page. PAIN . . . HOPE . . . CONFUSION . . . LOVE? Not long after a group of college friends start their junior year, a series of events are set in motion that will change their lives forever… Rondell is a good-looking, smart, confident young man who seems to have it all, but he hides the pain of his past. He grew up in the foster care system and experienced a series of traumatic incidents that rocked him to the core. He made it out of that life, but it hasn’t let go of him yet. Faleesha has just transferred to this college to make a fresh start. She is focused on building her relationship with God and leading others to Christ, but she encounters many stumbling blocks – distractions, persecutions, drama, and a growing attraction to Rondell that excites her and scares her at the same time. Gesston has had enough. He’s grown up in church, and Jesus is all he knows. He has friends but no girlfriend, a good reputation but no street cred. He meets Faleesha and is convinced she is the woman for him. Shelly’s been in a number of relationships, none of them good. She’s tired of players and wants true love, the kind of love her friend Rashonda has with Tyrone, but she just can’t seem to find her soul mate. Then Gesston asks her out, and Shelly is sure that she has found the man of her dreams. But Gesston can’t hide the truth forever, and everything unravels the more he tries. A native of Cleveland, Ohio, Dr. Moss is an honors graduate of Morehouse College who earned a Master of Divinity from Yale Divinity School and a Doctor of Ministry from Chicago Theological Seminary. He returned to Yale in 2014 to present the famed Lyman Beecher lectures. The three-day event included an in-depth discourse on the subject of “The Blue Note Gospel: Preaching the Prophetic Blues in a Post-Soul World.” The lectures, which demonstrated a homiletic blueprint for prophetic preaching in the 21st century, were the foundation of his latest book, Blue Note Preaching in a Post-Soul World: Finding Hope in an Age of Despair, published in 2015. Dr. Moss was named to the inaugural Root 100, a list that “recognizes emerging and established African-American leaders who are making extraordinary contributions,” according to the publication’s Website. Honorees range between ages 25 to 45 and their accomplishments and successes transcend media headlines or statistics. With a unique gift to communicate across generations, Dr. Moss’ creative Bible-based messages have inspired young and old alike. His intergenerational preaching gift has made Dr. Moss a popular speaker on college campuses and at conferences and churches across the globe. He is highly influenced by the works of Zora Neale Hurston, August Wilson, Howard Thurman, Jazz, and Hip-Hop music. The work and legacy of Dr. Martin Luther King, Jr., and the pastoral ministry of his father, Dr. Otis Moss, Jr. of Cleveland, Ohio, have been primary mentors for his spiritual formation. Dr. Moss is the former pastor of the Tabernacle Baptist Church in Augusta, Georgia, his first pastorate, where the church grew from 125 members to over 2,100 disciples during his tenure. His earlier publications include: Redemption in a Red Light District, and The Gospel According to the Wiz: And Other Sermons from Cinema. He co-authored The Gospel Re-Mix; How to Reach the Hip-Hop Generation with three other contributors, and Preach! The Power and Purpose Behind Our Praise, with his father, Rev. Dr. Otis Moss, Jr.
His sermons, articles, and poetry have appeared in publications such as Sojourners Magazine and The African American Pulpit Journal. Those works include: Power in the Pulpit II: America’s Most Effective Preachers, Joy To The World: Sermons From America’s Pulpit, Sound The Trumpet: Messages of Hope for Black Men, and The Audacity of Faith: Christian Leaders Reflect on the Election of Barack Obama. His work has also been featured on Huffington Post, Urban Cusp, and The Root. Dr. Moss is an ordained minister in the Progressive National Baptist Convention and the United Church of Christ. He is on the board of The Christian Century Magazine and chaplain of the Children’s Defense Fund’s Samuel DeWitt Proctor Child Advocacy Conference. “The Gospel According To The Wiz” is that book taken by surprise in the views of the readers. This isn’t any book like other literary pieces that I have read. There are many sermons from themes of your favorite movies including “The Wiz”. Reverend Dr. Otis Moss III really created a book that have several sermons based on Cinema. I thought that was a wonderful ideas in a creative way to minister to the readers through the Cinema. My completely treasure moments about “The Gospel According To The Wiz” is the contemplation questions that deliver the chapters together. Additionally encourages the readers network with the principles provided from Reverend Otis Moss III. The Rev. Dr. Otis Moss III is definitely one of the unmistakable, most fearless and creative speakers in the current seasons. “The Gospel According To The Wiz” explains in a creative expressions format to the readers. Reverend Moss’ collections of sermons and shudder. This preacher from the South Side of Chicago steeped in the world of faith and rituals. He engaged the readers with secular texts to lectures and preach. He wanted to shares his theological foundation. He believes as a person of the African descent who is deeply informed by Africanized motifs from the South that flow from the black churches and West Africa, traditional modalities of sacred and secular disrupting. The entire life is connected to God and all cultural productions from music, dance, and the arts are gifts from God. The Gospel music, the standard bearer of religious inspired folk music, is an amalgamation of blues chords and structure. Jazz and the blues inform and serve as a catalyst for gospel music.Although the arts when authentic, creative, and developed from the wellspring of humanity will absolutely speaks to spirituality. He also mentioned that the references of movies are the language for cultural competency in America. It is not possible to completely engage any television shows or understands a comic reference unless our cultural competency is sufficient to make the connection between the reference, irony, and punch line of the comedian. In my opinion that movies in the hands of gifted writers should be able to do more than entertain. Movies should inspire, empower, inform and motivates us to reexamine our relationships to the world. Movies have always been parts of our lives. That’s exactly what Reverend Moss did with “ The Gospel According To The Wiz” for that purpose in preaching the Gospels to the lost and empower the Believers of Christ.